It’s almost Halloween…time for your dentist to weigh in! Eat Halloween candy (and other sugary foods) with meals or shortly after mealtime. Saliva production increases during meals and helps cancel out acids produced by bacteria in your mouth and helps rinse away food particles. Chew sugarless gum, preferably with the ADA seal, for 20 minutes after meals helps reduce tooth decay, because increased saliva flow helps wash out food and neutralize the acid produced by dental plaque bacteria. Halloween is just around the corner and on the night of All Hallow’s Eve it’s hard to resist the temptation of all that candy. Especially, for young children who look forward to the one day a year where they can indulge a little in their favorite sweet treat. Being dentists (and always wanting what’s best for the health of your teeth), we’ve compiled a few healthier recipes for you to offer instead. 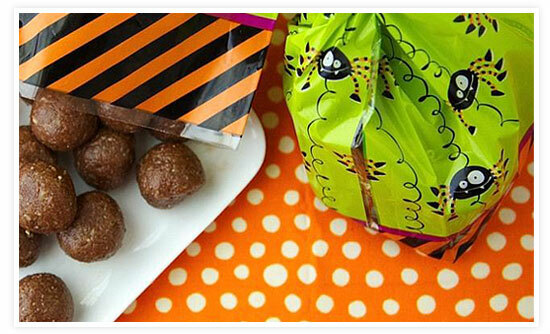 These easy to make treats (provided by Goop) will allow kids to satiate their sweet tooth and still have a happy Halloween. Grind the oats and nuts in a food processor for 1 minute. Then add the honey, vanilla, coconut oil, and chocolate chips. Using a 1 teaspoon measure, roll into balls. These will be ready to serve and are easy to make the day of Halloween. Preheat the oven to 250°F and line a large baking sheet with parchment paper. Place the strawberries and honey in a blender and puree until smooth. Pour the mixture onto the baking sheet and spread it into a large rectangle with the back of a spoon or spatula. Bake for 2 to 3 hours, until the fruit leather is dry and not sticky to the touch. 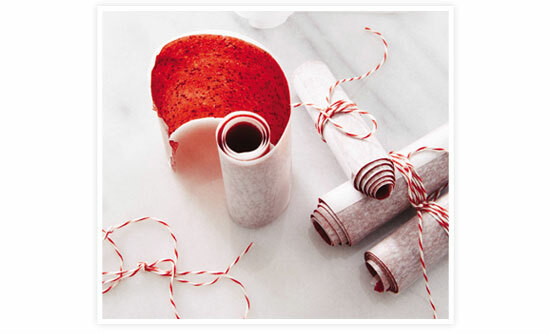 Allow the fruit leather to sit and cool to room temperature. It takes several hours for the fruit to soften up; when you first take the leather out of the oven the edges will be a bit dry and crisp, but if you allow it to sit overnight it softens up nicely. Although these recipes are healthier options, they still contain sugar so make sure that your children brush and floss their teeth after eating. If your kids do eat other candies on Halloween, try to steer them away from hard, gummy or sticky candies. Lollipops, caramel-centered chocolates and gummy bears are among the worst. These candies can actually break teeth or get stuck between teeth and since they are harder to chew, the sugar has a longer time to absorb into the gums. This can lead to cavities and tooth decay. Mitchell Dentistry hopes that you have a fun-filled holiday with ghouls and guffaws, but use discretion when indulging on sweets. Happy Halloween everyone!